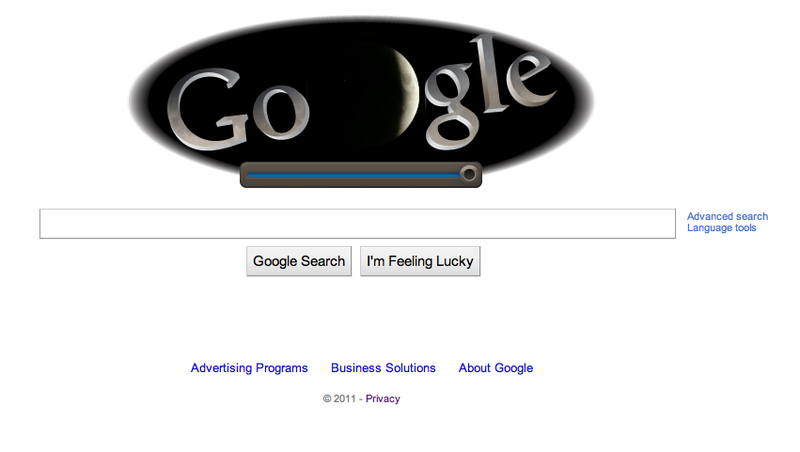 Google has prominently featured the ability to view via Youtube the total lunar eclipse visible to those earthlings in Australia, Asia, Africa, Europe, S.America but not North America on its home page today. Not if everybody or even half of everybody in North America trys to log on to a single YouTube at the same time. 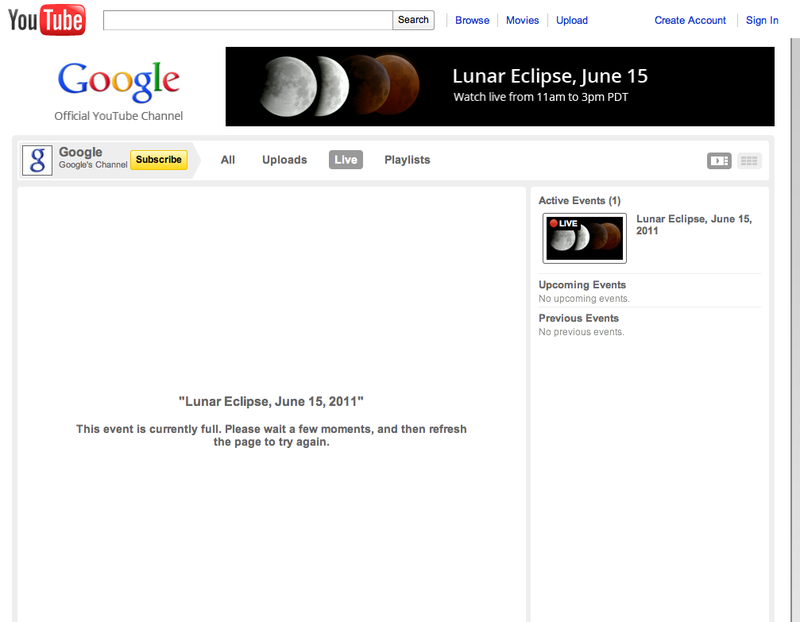 This entry was posted on June 15, 2011 at 1:24 pm and is filed under Google YouTube 2011 Lunar Eclipse Full Fail, YouTube. You can follow any responses to this entry through the RSS 2.0 feed. You can leave a response, or trackback from your own site.